Capitalising on the buzz of the London 2012 Olympic and Paralympic Games has provided a positive business legacy for corporate companies that engaged staff and clients. BT Global Services UK president Emer Timmons said: "The London 2012 Games offered us the opportunity to showcase BT. Like many large corporates we hosted some of our key customers. It helped strengthen relationships and also opened their eyes to the pivotal role BT played as the official communications services partner of the London 2012 Olympic Games." Meanwhile, James Williams, P&G corporate communications, added: "At P&G, we set out on our Olympic journey in 2010 and made a commitment that our association would touch every employee across our global operation." After P&G established new business goals and challenges, "employee events, team meetings and business programmes have taken on a whole new dynamic - inspired by our Olympic mission," he revealed. 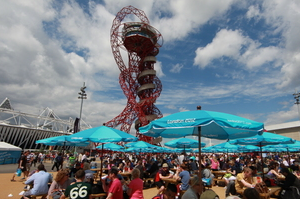 Panasonic Worldwide Olympic marketing general manager Hiro Nishigai said the company's hospitality programme had been important for brand visibility and to "communicate Panasonic's corporate values about fairness". The 'halo effect' from the Games has already impacted on the capital, explained London & Partners director of business tourism and major events Tracy Halliwell. "We are already seeing interest from organisations to book their next event in London," she said. The "next few months in particular" would be some of the most exciting times for London as its offer as a business destination has changed radically, added Halliwell.